After Collectormania there was still one event to go to. My good friend Laura Fawcett was performing in a Wagner and Verdi bicentenary celebration at the Milton Keynes Theatre on Sunday evening (17th November). Before I tell you about the event let me tell you about how much I love classical music. From an early age I have always enjoyed listening to classical music whether it be Mozart, Verdi, Brahms and many more. I remember that the first classical album I ever owned was “The Four Seasons” by Vivaldi played by Nigel Kennedy. I can listen to “Swan Lake” and “The Nutcracker” time and time again. Classical music allows me to relax; it allows me to “slow down”. I also have to say that classical music can be quite emotional for me. I remember at school once during one particular music lesson we heard a piece (of which I can’t think of) of music that had a profound impact on me. I had tears in my eyes after listening to it (the bullies loved this) and even now there are pieces that are so emotive for me. Any chance to attend a classical concert is a must for me. Over the years I have attended the Royal Albert Hall to for their classical gala concerts and even attended a concert on Christmas eve which was amazing. When Laura mentioned that she would be performing and that tickets were still available I jumped at the chance to attend. I would be going to the concert with Laura’s parents; Colin and Janene and Laura’s younger sister Maria. I have to thank them all for making me feel so comfortable and making the evening so enjoyable. Laura is a member of the Danesborough Chorus and is a Contraltos within the chorus. The Chorus was formed in 1975 and Laura is currently the youngest member but I can tell you that age doesn’t matter since Laura is a wonderful singer. As well as the Danesborough Chorus the Milton Keynes Chorale would also be performing and the Milton Keynes City Orchestra. The orchestra would be conducted by Ian Smith who Laura has known for many years since he was her music teacher at school. The first part of the concert included two pieces from Wagner including the famous “The Ride of the Valkyries” which is from the second of his four operas of the Ring cycle. I am sure most will remember that piece of music being used in the Stanley Kubrick film “Apocalypse Now” . You can’t help but feel the adrenaline going when you hear this. The orchestra played this perfectly. The second half of the concert was Requiem. A requiem is a mass for the the souls of the dead and for Verdi he wrote his to remember two important influences in Italian culture. Gioacchino Rossini who had been a major influence on Italian opera and Alessandro Manzoni the famous poet. Verdi also felt that Italian culture was heading in a new direction and wanted to remember the past. Both the orchestra and singers made this a truly memorable event. I love watching an orchestra play and from where we sat I was able to get a great view of them. I also have to say that watching Laura sing was really enjoyable too. I know Laura from Star Trek and podcasting and last night I saw a whole new side to her. The amount of effort that must go into performing, rehearsing for something like this must be staggering. I really did enjoy myself last night and I am looking forward to seeing Laura perform again. A perfect ending to a wonderful and busy week. Find our more about the Danesborugh Chorus on their website. Dame Agatha Christie created one of the most popular detectives in the world when she introduced us to Hercule Poirot in “The Mysterious Affair at Styles” in 1920. Over the past twenty five years we have been able to watch David Suchet in all seventy Poirot stories on the small screen in the hit TV series Agatha Christie’s Poirot. David Suchet has played Poirot in every episode of Agatha Christie’s Poirot and now holds the world record for playing the same character over a period of time in one series. Last Wednesday (November 12th 2013) the last ever episode “Curtain” aired and this brought to an end David Suchet’s relationship with the Belgium Detective. 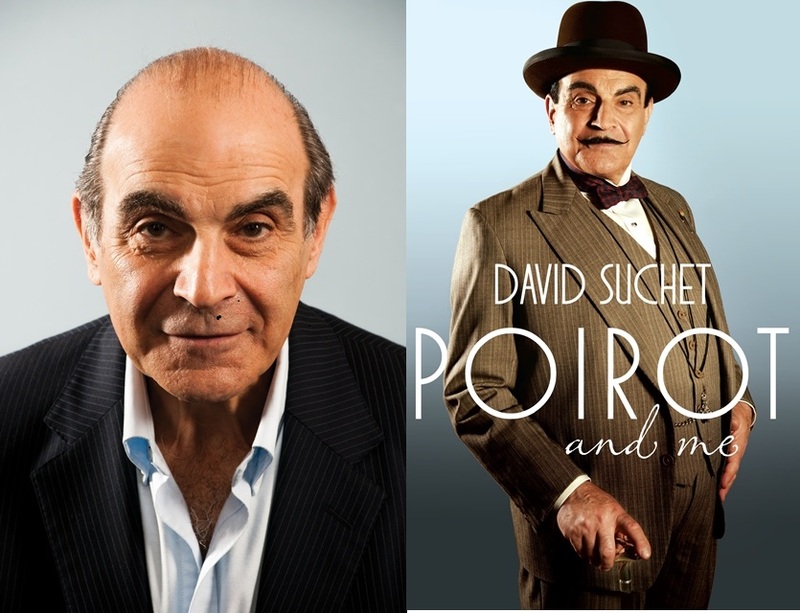 To celebrate his amazing performances David has written alongside his good friend Geoffrey Wansell (journalist and author) “Poirot and Me” which is his account of playing the famous detective over the past twenty five years and how the character has become an important part of his life. To coincide with the launch of the book and the airing of the final episode David has been touring with Geoffrey where together the two have been having intimate and revealing discussions about David’s time as Poirot. The day before “Curtain” aired (Tuesday 11th November) I was lucky enough to attend a talk that was taking place at the Michael Croft Theatre in Dulwich. I found out about the talk through Bunny and together we attended the event. I was expecting something similar to the Sir Patrick Stewart talk that I attended a few months ago but this was different and very special. The theatre was within the Alleyn’s School and it was very impressive. David even mentioned that he had ties to the school and it was fitting to be having the talk here after so many years. Like most events I was really excited about seeing David, fortunately I had a couple of glasses of wine beforehand which allowed me to relax and enjoy what would be a wonderful talk. During the talk David told us about how he actually got the role of Poirot, how he was “interviewed” by the Christie family and their expectations of him in the role. The lengths he went to to become the character which included reading every novel, taking extensive notes (which you can see at the back of the book) and of course developing the voice and walk. We were lucky enough to hear Poirot several times during the evening as David shared some wonderful and funny stories about the detective. David also spoke about how he has made the character his own and on occasion has had to disagree with directors in how Poirot should be portrayed to the point that he even considered quitting the role. The discussion eventually led to “Curtain” and you could see from David how profound this episode was to him. He was visibly upset talking about his final days playing Poirot and how it was going to be very strange not playing the character anymore. It would have been interesting to have seen the episode before going to the talk but I have read the story so knew what would happen. It still took nothing away from what David was feeling and how he was talking about the episode. Questions were opened to the audience and we had some really interesting ones about how David portrayed Poirot, discussing David’s and Poirot’s faith, what would tempt him to play the character again (Poirot on the big screen would) and David’s personal favourite stories (“ABC Murders”). David also mentioned that if he was given the chance he would love to re-film “The Murder of Roger Ackroyd” since he was not happy with his performance at the time. After the talk David signed copies of the book. Bunny and I managed to get a good deal on our books and didn’t have to wait too long for our copies to be signed. Like most things it was over within seconds but it was really amazing to be up close to such an amazing actor. This was an amazing talk. David Suchet has always been one of my favourite actors but his portrayal of Poirot has always held a special place in my heart. Hearing David discuss the character, how much Poirot means to him captivated me for the whole time David was speaking. I really enjoyed this talk and can’t wait to read the book over the coming weeks. I am so glad I went to the talk and thanks have to go to Bunny for telling me all about it. I hate Zombies! You may have heard me mention that the walking dead really don’t interest me. If I was to be completely honest with you; its because they have always scared the crap out of me…. I am not a horror fan, as you know I love many things but horror has never been something that I have been able to get into. I was having a discussion with Bunny about this and I thought that since I was never exposed to horror as a child or young adult I just avoided the genre. Now its not too say that I have never experienced horror films. 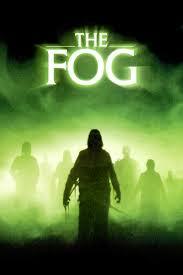 When I use to babysit for my sister I remember vividly watching “The Fog” by John Carpenter. I have to say this really scared me, I was having nightmares about fog and killer fisherman for weeks after this. I actually avoided the film for many years until one day it was on BBC 2 and I mustered up the courage to watch it again. I really enjoyed it to be honest (much more than the awful remake) and will watch it time and time again. Now my version of horror may differ from yours but I have watched “The Texas Chainsaw Massacre”, “Night of the Living Dead”, Bram Stoker’s Dracula (the worst British accent by Keanu Reeves ever…) and a couple of others. I actually love “Interview with a Vampire” with Tom Cruise but the thought of having the blood sucked out of you is just too much sometimes for me. Although (contradiction time) I love Buffy (I know, its not really horror but hey! It has vampires and the thought of necks being bitten just drives me mad). A film I found on Sky a few months ago was “The Wolfman” with Benicio Del Toro and I have to say I really loved it! The music, the acting, the story really hit the right cords for me. So perhaps its not all horror I hate but certain types? So what is it about the walking dead that scares me? I am not sure to be honest. I really don’t like apocalyptic films. I think some of this might be down to Star Trek but I have always had a positive outlook for humanity and I always get annoyed when the world falls apart, Big Ben always gets destroyed (that really is a bug bearer) etc. As mentioned I have seen “Night of the Living Dead” and while it did scare me it did not freak me out. Perhaps its the gore that we see in films now? I think so, these days the scares need to be bigger, there needs to be more blood and it wouldn’t be a a horror without loads of screaming. I think I hate Zombies because they are relentless, they don’t stop for nothing and of course they are hard to kill. Now I know someone will say I have just described the Borg; but the Borg don’t eat brains! They assimilate them. We watched two films that night and yes they were both Zombie films…. The first was “Rec” which was a Spanish film (with subtitles) where a television reporter and cameraman follow emergency workers into a dark apartment building and are quickly locked inside with something terrifying. As soon as I saw the old woman (I am not going to give too much away) I just knew it was a Zombie film and even when I knew what was going to happen did happen I jumped out of my skin. This was a Zombie film but was so suspenseful, everything about it worked and as I was watching the film I was thinking how much I was really liking it. If you have not seen this film then I suggest you do. It was amazing! The second and you can laugh now was “Shaun of the Dead”. I really do enjoy this film and while its not a gory Zombie film I have in the past had a few bad dreams about the undead trying to eat my brains. I also love the fact that Simon Pegg takes the mickey out of “28 Days Later” in this film. Zombies are bad enough but Zombies that move fast! Come on, are you trying to kill me? No brains were eaten in the creation of this blog….